David Komlos, CEO of Syntegrity, is an entrepreneur, early-stage investor and speaker who has helped change the way many global leaders approach their top challenges. From Fortune 100 transformation to international aid, content creation in sports and entertainment to improving access to life-saving products, David advises top leaders and enterprises on how to dramatically accelerate solutions and execution on their defining challenges. 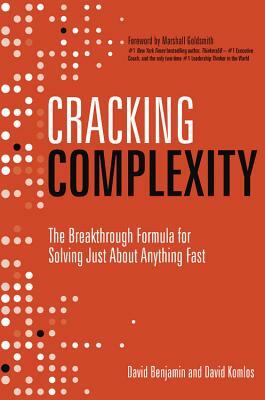 He frequently speaks on topics related to complexity, fast problem-solving and mobilization, and scaling talent. He lives with his family in Toronto. "There are much faster ways to achieve greater impact on the big challenges than what many of us are familiar with. This book shows the way. "—Guy Jarvis, Executive Vice President, Enbridge, Inc.